An arraignment for actor Michael Jace, who is charged with murder in the shooting death of his wife, was postponed Thursday. The 51-year-old regular on “The Shield” remained in custody on a charge of murder with a gun during his first appearance in Los Angeles County Superior Court downtown. Judge Renee Korn moved the arraignment to June 18 at the request of Jace’s attorney and set bail at $2 million. “He’s doing as well as somebody is that is in custody,” the actor’s attorney, Jason Sias, said outside of the courtroom. “He just wants to see this through.” Jace has been thinking about his two sons, Sias said. The boys, both of whom are younger than 10, had been inside the couple’s Hyde Park home, where police found the body of April Jace, 40, Monday evening. The boys were not harmed. April Jace suffered multiple gunshot wounds to the upper body. “We just want to express our deepest sympathy to the family,” Sias said. Mark Robles and his son, Alex Robles, appeared in court to show support for the children. The father and son taught the defendant and his sons jiu-jitsu at their La Mirada studio. Michael Jace began taking his sons to the martial arts classes a year and a half ago so they could learn how to defend themselves from bullies, Mark Robles said. 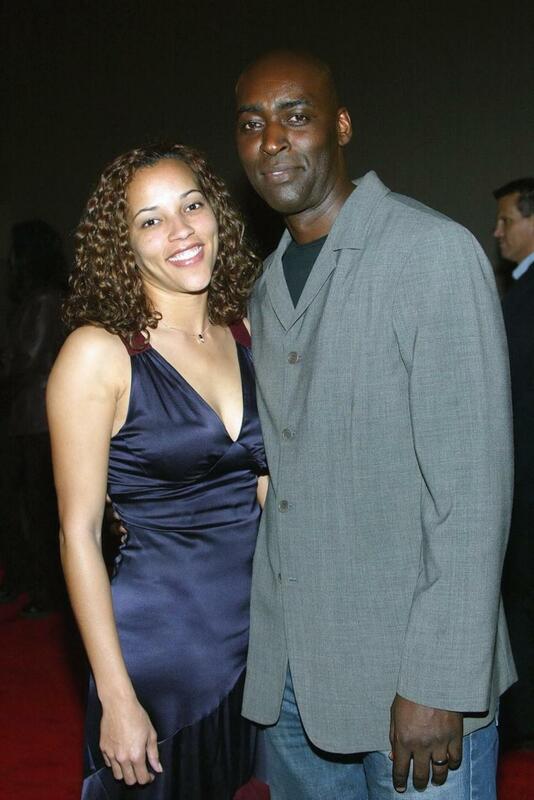 Los Angeles Actor Michael Jace has been formally charged with one count of murder with a gun in the shooting death of his wife, the prosecutor’s spokeswoman said Thursday. April Jace, 40, died from “multiple gunshot wounds,” according to preliminary autopsy results. 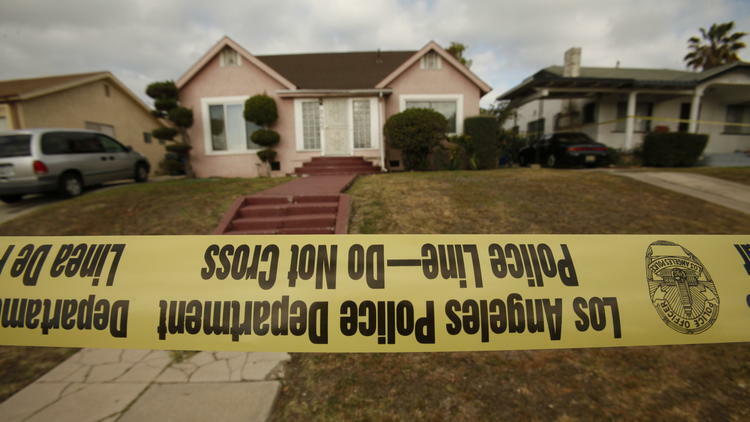 The death was ruled a homicide by the Los Angeles County coroner, Deputy Chief Coroner Ed Winter said. Jace, 51, made his first appearance in a Los Angeles courtroom Thursday afternoon. Bail was set at $2 million, and his arraignment was continued until June 18 at the defense’s request. Los Angeles police detectives presented their evidence against Jace, who played a Los Angeles cop in TV’s “The Shield,” to the district attorney Thursday morning, according to spokeswoman Jane Robison. 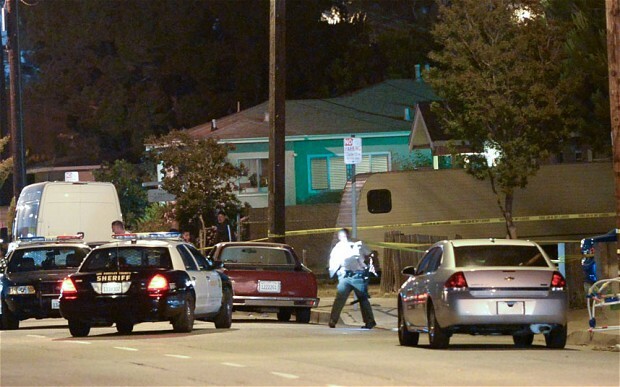 Police found April Jace shot to death in her south Los Angeles home Monday night, Det. Lyman Doster said. 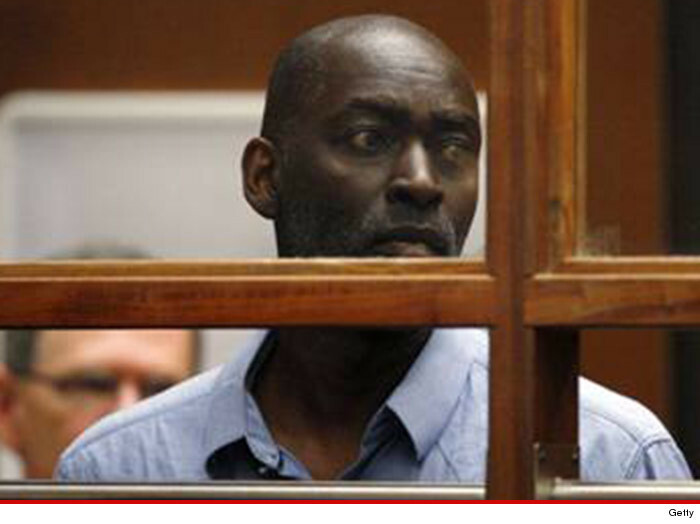 Michael Jace called 911 to report that his wife had been shot, Det. Dean Vinluan said, adding that he “was on the phone with the operator.” Neighbors who heard gunshots also called 911, he said. “At this moment, the motive of the murder is believed to be domestic violence,” a police statement this week said. Investigators detained Jace at the couple’s Hyde Park-area home Monday night and booked the actor on a homicide charge early Tuesday, according to Doster. 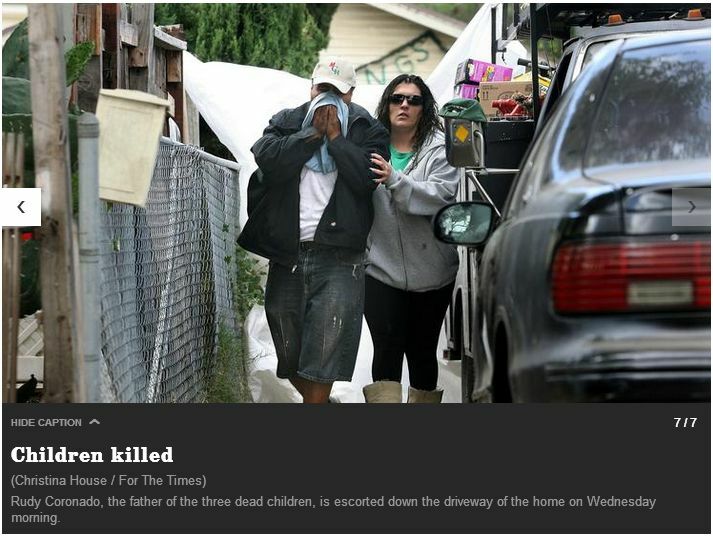 Two children were in the home when their mother was shot, Vinluan said. The children, whose ages he would not reveal, were taken to a police station and then handed over to a representative of California’s Department of Children and Family Services, he said. 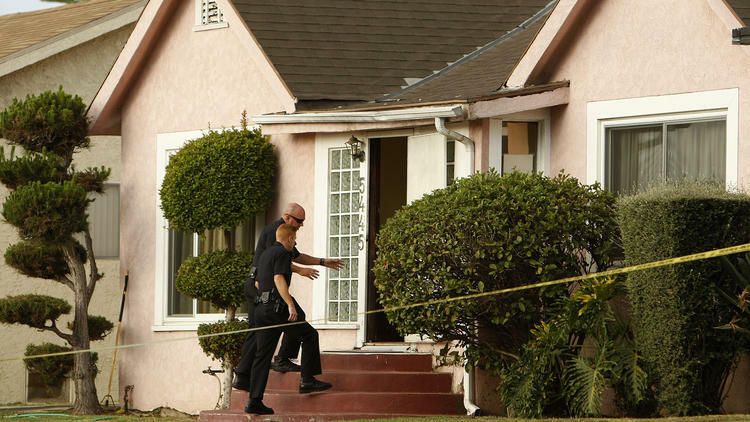 Investigators have found no reports of domestic violence between the husband and wife at their south Los Angeles residence, another LAPD detective said. A woman described as a close friend of Jace’s first wife said in a sworn statement that she witnessed Jace physically abusing his wife in 1997. The declaration was in court records from Jace’s 2005 custody case concerning his son with Jennifer Bitterman. Jace “choked and hit” his wife and “slammed her against the wall while (their infant son) screamed in his crib next to her,” Maria De Le Vegas said in the sworn declaration obtained by CNN. Jace “was raging and out of control, and seeing the extent of his anger was one of the most terrifying things I have ever seen,” she said. Jace appeared to be suffering severe financial strain in recent years, according to court documents obtained by CNN. The actor filed for Chapter 13 bankruptcy in March 2011, citing $500,000 in debts and an annual income of around $80,000 from residuals from his TV and film work, the documents said. 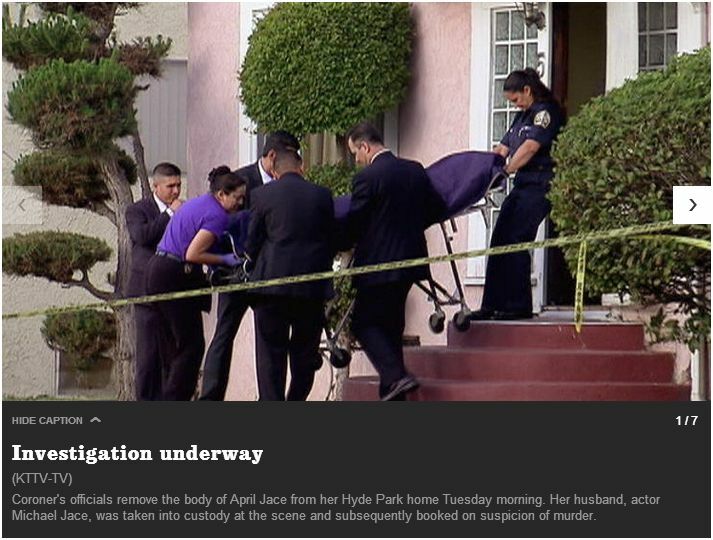 Jace had defaulted on the $411,000 mortgage on the south Los Angeles home where his wife died, according to the documents. He married April Jace in June 2003, a year after divorcing his first wife, with whom he shared a son who is now a teen. The FX police drama “The Shield” was the biggest and longest-running role in Jace’s 22-year acting career. He appeared in 89 episodes as Julien Lowe, who started as a rookie officer in an inner-city Los Angeles police precinct in 2002 and rose through the ranks to become a detective before the series ended in 2008, according to the Internet Movie Database. He acted on several episodes of “Southland,” another TV drama about Los Angeles police, between 2009 and 2012. April Jace had worked for the past year as a financial aid counselor at Biola University, a private school in La Mirada, California, according to the school. “We are obviously shocked and saddened by this terrible news, to lose a wonderful colleague, mother and friend,” Biola President Barry Corey said in a written statement. A mother who allegedly stabbed her three daughters to death at her home near Carson laid them “neatly” on a bed after they died, a detective said today. 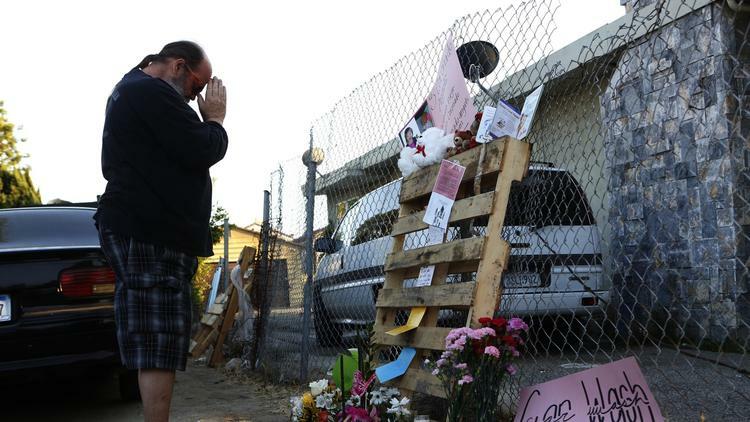 The three girls — identified by friends as Sophia, 2½, Yasmine, 16 months and Xenia, 2 months — were likely awake when they were stabbed, sheriff’s Lt. Dave Coleman said. 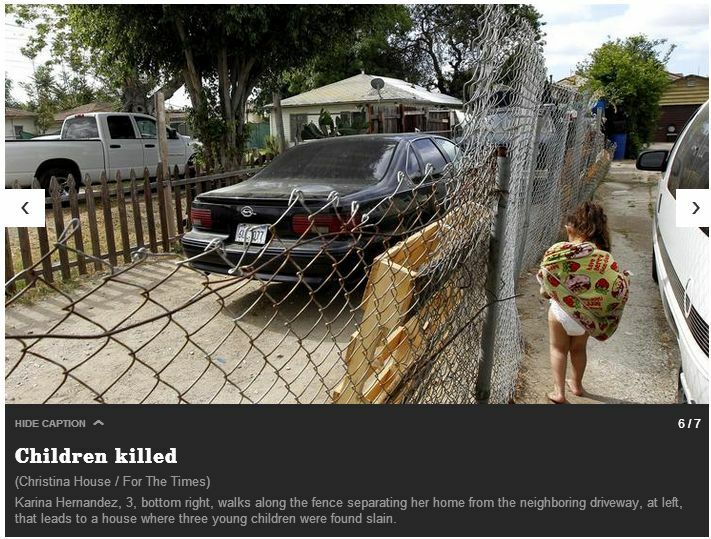 Placement of the girls’ bodies occurred after they were killed. 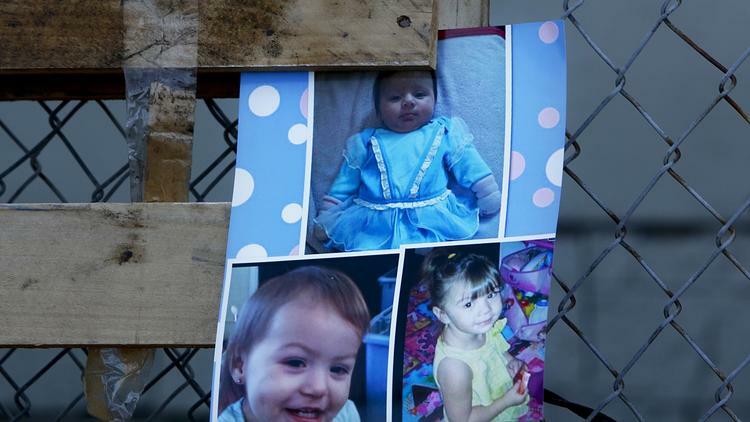 Autopsies were scheduled this morning on the three girls, but results have not been released. Coleman said Wednesday that the children suffered stab wounds, but the autopsies would determine if they suffered any other injuries. The mother, Carol Coronado, 30, remained at Torrance Memorial Medical Center, where she received treatment for self-inflicted stab wounds. She suffered wounds over her body, but most were considered scratches. Her most significant wound was to the upper chest, but it was not severe enough to be considered life-threatening, detectives said. She possibly could be released this afternoon, then will be arrested and booked into jail or the County-USC Medical Center jail ward, Coleman said. 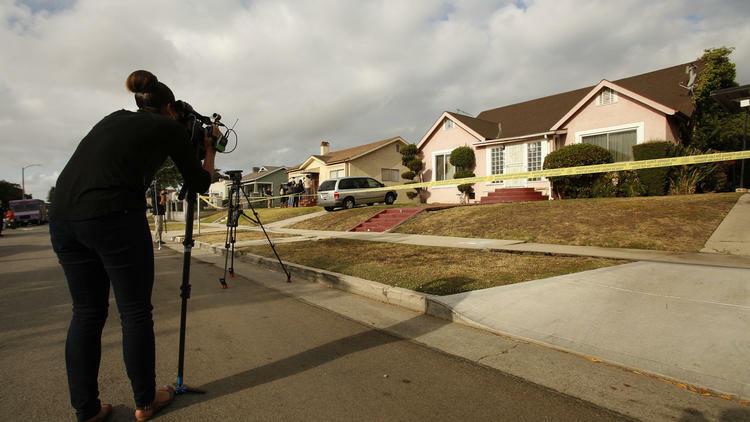 Investigators still do not know why Coronado allegedly stabbed the children with a kitchen knife shortly after 5 p.m. Tuesday at their tiny home in the 1000 block of West 223rd Street, an unincorporated area between Carson and Harbor Gateway. Her husband, Rudy Coronado, was working on his recently purchased 1968 Chevrolet pickup truck parked across the street at the time. The husband was not aware what happened until his mother-in-law arrived at the house and he told her to go on inside. He followed her when he heard her screams. Neighbors said the mother told her she had called her earlier to say she was going crazy. 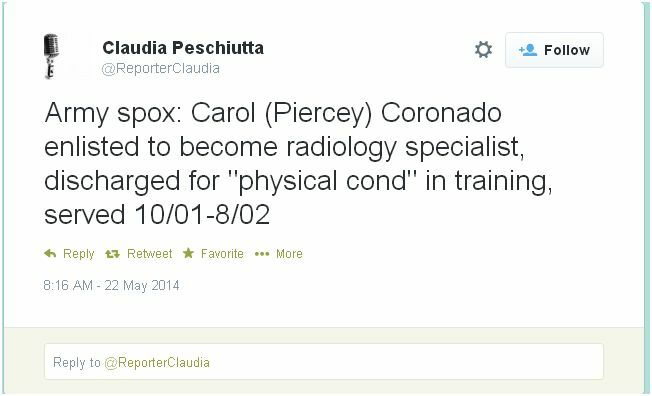 The neighbors said they never saw any signs of trouble that would suggest Carol Coronado was capable of harming her children. Coronado attended a vigil outside the home Wednesday night, dropping to his knees, bending over and crying before a memorial of candles, flowers and teddy bears. 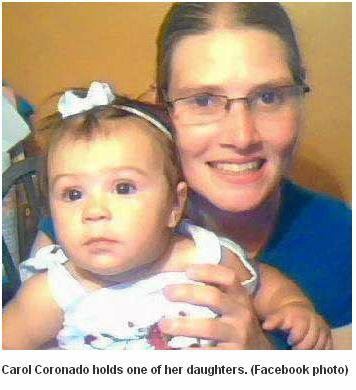 Investigators confiscated other knives and a hammer from the house, but the weapon believed used to commit the killings was a kitchen knife that the children’s grandmother snatched from Carol Coronado’s hand and threw onto the driveway. “Right now, we honestly don’t know what happened,” Coleman said. Investigators will examine the mother’s mental state, including whether she suffered postpartum depression or was on drugs. “The Shield” actor Michael Jace once threatened to kill his first wife if she “went to war” over visitation rights for their son, according to reports. Jace’s simmering penchant for violence — which exploded in deadly gunfire in Los Angeles Monday night when he allegedly shot his current wife, April — was laid out in court records generated during a bitter divorce from his first wife, Jennifer Bitterman. A friend of his ex told the court an out-of-control Jace, best known for playing a sexually conflicted cop on the long-running FX series, choked his wife and slammed her against a wall as then-6-month-old Jordan screamed in his nearby crib. “Seeing the extent of his anger was one of the most terrifying things I have ever seen,” she said, according to court records. But Jace’s doomed wife testified more than a decade ago that her then-fiancé was a good provider for Jordan and called Bitterman a bad mother. At the time, she relayed the boy’s chilling concerns for his mom. “Usually at bedtime, (Jordan) prays for his mom and asks God to protect her while he’s not there with her,” she told the Los Angeles divorce court, according to the records obtained by TMZ.com. The Los Angeles Times reported that Jace threatened to kill Bitterman if she fought for visitation rights. April bore the brunt of Jace’s fury about 8:30 p.m. Monday. About 15 minutes after she returned home with their two sons from baseball practice, Jace allegedly shot her multiple times. They had argued over money, police said. 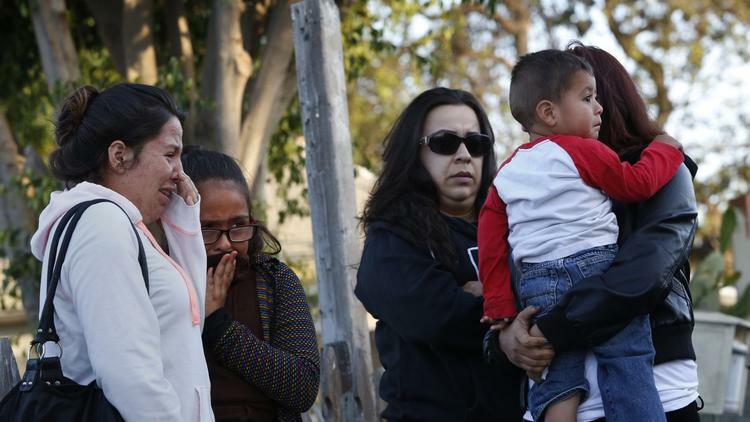 “At the very least, (the kids) heard the shots,” LAPD Detective Sal LaBarbera told the Los Angeles Times. It’s not clear where Jace, 51, got the gun. On a statement of the actor’s assets, he checked a box indicating he didn’t own a firearm. Laune, a 44-year-old Marine, said he had no inkling Jace and his sister were at odds. Jace reportedly confessed to the murder after making a damning 911 call for help. 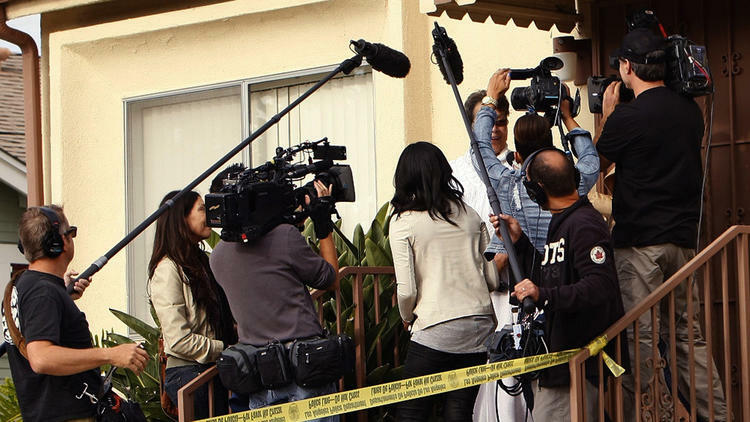 “I shot my wife,” he reportedly told the operator, according to TMZ.com. Jace stayed on the line and was standing in the doorway when cops arrived and found his 40-year-old wife’s body sprawled in a hallway. While Jace was hauled off to jail, the couples’ two young sons — both of whom are under 10 — were turned over to their maternal grandmother. 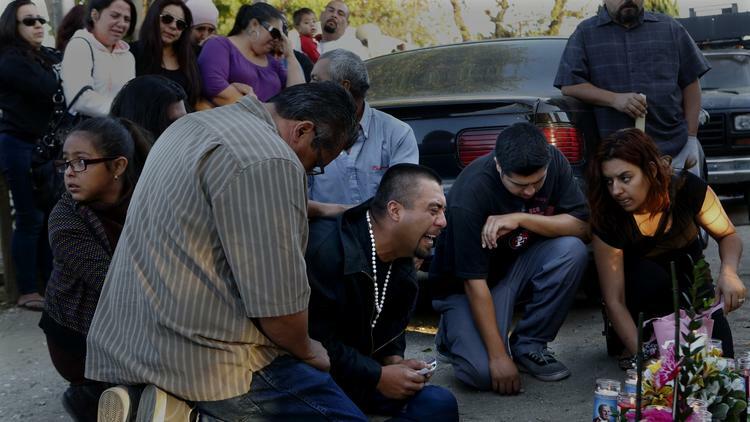 The suspected killer was booked on suspicion of homicide and ordered held on $1 million bail. It’s not clear he’ll be able to raise the money. The Paterson, N.J.-born actor filed for bankruptcy in 2011 and listed debts of $500,000 to $1 million — most of it owed on his home in the Hyde Park section, The Associated Press reported. Jace also owed more than $22,000 in income taxes, and still owed the state of California more than $20,000 in back taxes for 2008. As part of the bankruptcy, Jace agreed to a repayment plan, but by last November he had already fallen $2,000 behind, according to the AP. Jace and his wife were married for 10 years and her Facebook page has pictures of the couple in happier days. April worked in the financial aid office at Biola University, a private Christian college in L.A. She also had a grown son from an earlier relationship. PHOENIX | Jury selection is scheduled to begin Monday in the trial of an officer killed in the line of duty seven years ago. The trial for Anthony Holly’s alleged killer, Bryan Hulsey, has been postponed several times, making it the oldest capital murder case in the county. Holly was gunned down on Feb. 19, 2007, as he provided backup during a traffic stop. Police said they had taken one suspect out of the vehicle and were removing a second suspect when the suspect pulled a handgun from his waistband and fired at the officers, striking Holly. 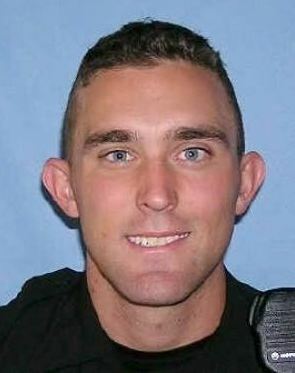 The other officer returned fire, wounding Hulsey, who was later captured and taken into custody. Holly was taken to St. Joseph’s Hospital in Phoenix, where he was pronounced dead. He was 24 years old. Since Hulsey was indicted in 2007, court records show attorneys on the case have met with the judge nearly 200 times. In many cases, Hulsey requested new counsel. Court papers suggest Hulsey wouldn’t cooperate with his legal team, and at one point, he volunteered to represent himself. Glendale Police Sgt. Jay O’Neill and his colleagues have been waiting seven years for justice. In February, Holly’s friends, family and colleagues showed up to the courtroom for yet another delay hearing. But, donning “enough is enough” stickers, they got the news for which they were hoping . “I had nightmares. I couldn’t sleep, I just couldn’t put it to rest,” said Sharon Knutson-Felix, executive director of the 100 Club. She said waiting on the wheels of justice to turn in the cases for both her late son, Ricky, and husband, Doug Knutson, was like getting victimized all over again. It’s a feeling with which, she said, Holly’s family is grappling. Holly was a two-year veteran of the Glendale Police Department and was a four-year veteran of the U. S. Air Force. He left behind his girlfriend, parents, four brothers and a sister.